Le Parfait Super jars are perfect for all styles of preserving, including storage of dry goods, as well as water bath canning and pressure canning. 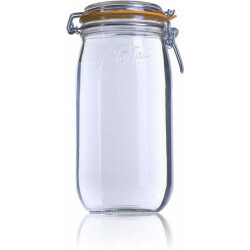 The jars are made of high quality tempered glass and come with a sturdy rubber seal. 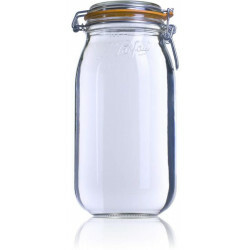 The 1,000ml super jars take a 85mm seal. The wire bail holds the seal in place at all times for dry storage, and during heat processing when canning. It is recommended that the wire bail be left open after heat processing once the product is cooled to allow the seal to be periodically checked. If using the jars with heat processing, it is highly recommended that a new seal be used for every use. If using the jars for dry storage, the seals need to be periodically checked for perishing. 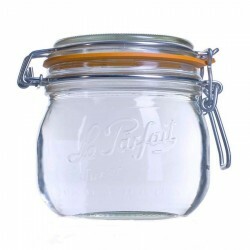 Le Parfait Super jars come in 7 different sizes making them suitable for all your preserving applications! Human food quality Sodium Ascorbate an excellent virtually tasteless source of vitamin c. Standa..
Pickling salt is non-iodised salt and does not contain anti caking agents so it helps give a clear b..